Members can help same day registration go faster by picking up their chips and bib numbers by going to Krispy Kreme Donuts, at Falls Grove Village Center on Sunday, Dec 30, 2018 between 2 PM and 4 PM. Parking will be almost everywhere in the industrial park, except in the Manna Food parking lot. 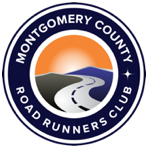 The race is part of our low-key club race series and is free for MCRRC members, $10 for non-members 18 and over, and $5 for non-members under 18. Race-day registration starts an hour before the race.